July 15, 2043. On that day, a Full Dive VRMMO was released, its unique system called ＜Embryo＞ allowing each player to follow an extremely varied—or rather, an “infinitely” varied pattern of evolution. What’s the game name? After reading the first arc, the prologue, I found it pretty interesting. The story is in a VRMMO world that has lots of possibilities. Any player in that game gets assigned a specific embryo that they cannot choose, like a helper or soul weapon or something. Interesting to see how this goes, since it means that characters are not really set on generic classes and there can be a lot of deviation. As far as translated chapters shows, the world is pretty fleshed out. In-game politics has clear effect both from NPCs and players. The unique eggs give lots of possible interactions (the kid with a succubus is awesome!) much like how HxH had cool nen powers. The MC is a typical knight, but may turn to a darker power while still being kind (total assumption from the cover) so he's pretty played out as a character but still interesting. His OP brother (it's not that hard to guess his OP-ness) is going for a kinda cool kinda cuddly style which sorta works by giving his character a starting layout without wasting too much words. 7 months and we are only right here? I mean, for such a good novel, multiple translators are losing it with the chapter speed. This VRMMO has a lot of possibilities due to the random assignment. This isn't like an OMG OP AF M/C like Shura's Wrath. There's a partner system and while a lot of people are very strong, there isn't a godlike player lol. The story is so good. The illustration is exceptional especially the color. Its like 'A Certain Middle-Aged Man’s VRMMO Activity Log' LN, but there is a goal and the character building is good. I recommend to read it before other MMORPG genre. As of volume 4, it's gonna be a NO from me. I bought and read the first 2 volumes of this novel. Read it, liked it, decided to also buy volumes 3 & 4. Big mistake, could have save a whole 14 bucks. Mind you that I live in the Caribbean and 14USD is a lot for an unemployed student such as myself, but I digress. The story itself is good but it suffers from the problem that there is way too much monologue done by the MC and an excess of... more>> tedious exposition, most of which would be unnecessary if not for the fact that the author puts way more focus on the happenings inside the game and around the environment of the mc's party than on the MC himself. When reading from the mc's perspective, rather than actual game-play, 80% of the read is the MC having discussions with veteran players about the construct of the player society within the game and their lives and interactions with the npc society. Other than that, all we get is the occasional off-screen grinding and the mc's inner monologue where he goes into tedious detail about unimportant topics that are uninteresting and usually completely unrelated to the plot. What irritates me most about this novel is that rather than the MC working hard to git gud, the author puts a lot more focus on characters who are already veteran players in the game. Most action scenes usually involve a display of skill done by end game player characters that only serve to emphasize how much of a noob the MC is. As of volume 4 the MC still hasn't even reach level 50 of his first job. The last straw for me though was the fact that halfway through volume 3, the author completely cut away from the main story and spent the remaining half of the volume introducing the life story of the side characters of the mc's party. Worse yet, this continued into volume 4 where the entire first 80% of the volume was focused on the same uninteresting background characters life stories and experiences. From that point I realized that this story was gonna turn into a friendship is magic slice of life and that's just not my cup of tea. Well I enjoyed this novel a lot. Although it only has 4 volumes thus far I think I enjoy it more than I did Seirei Tsukai no Blade Dance on my first read, an that was my first light novel so it has nostalgia bonus. 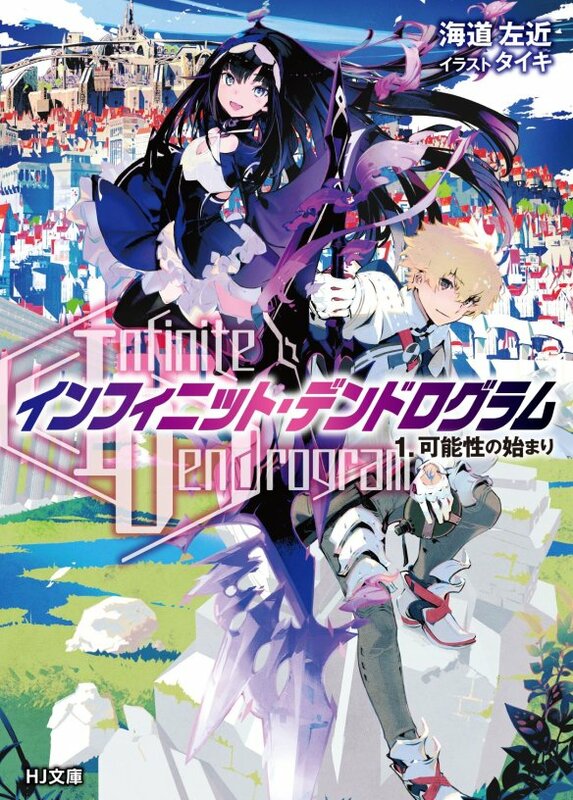 Also for newer readers just search on the Google "Infinite Dendrogram Volume 1 pdf" to find the website with all volumes both epub and pdf. Now review time! On a side note I'm just a casual child so forgive me for a bad review. Let's see NPCs... more>> are real people too. Players or Masters are abnormals who don't fit in. The main character dies at least once, yay enhanced realism. The main character is op but currently others, The Superiors, are a lot more so than him. Bro bear and cat in afterwords are funny. Also their characters in the story are similarly funny. tldr; I like it, I'm reading vol6 right now!! But it feels like the author is controlling the MC rather than writing about the said MC. Inconsistencies with the MCs thinking and overemphasis on his character that would other wise be known already, it just makes it a bit stale. We know what should have been already known. You don't need to put words on the mouth of the MC. It's a good novel but.. The main characters thoughts are too long. I wouldn't mind if it enforces an idea or fact,... more>> or if it adds depth to the story and helps with empathizing and imagining things but it doesn't. He goes into and explain every detail that readers should have gotten by now. He goes into a full circle and a half before concluding things and it gets frustrating because of this. Also, because of the overwhelming attention to unneeded detail, it misses up on otherwise important ones. This also makes things inconsistent as the reader would conclude the MCs actions based on this, but will leave disappointment in the end as his actions go about otherwise. The main character is strong, but doesn't have things too easy. I like the bond he is developing with his partner and I wish that there were more translated chapters, but this was a fun premise and it goes into detail explaining the mechanics of the world. It may not be a very realistic game, but hey, it's fun to imagine. Great character development, incredibly interesting world that you explore along with MC, noticable character growth, and amazing story. This is not isekai, this is a novel about a guy who decided to start playing a full dive MMORPG (thing of sao), but ended up realizing that it is as real as the real world. Everything about this novel is amazing, and if you love fantasy novels with elements of MMORPGs, this game is 100% for you.